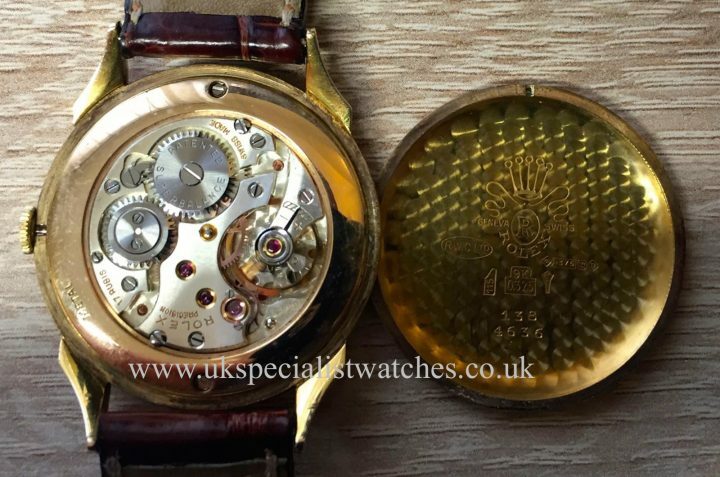 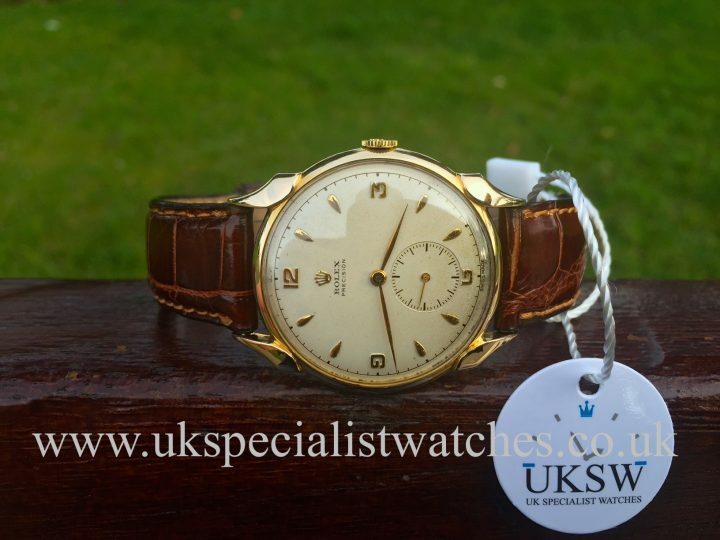 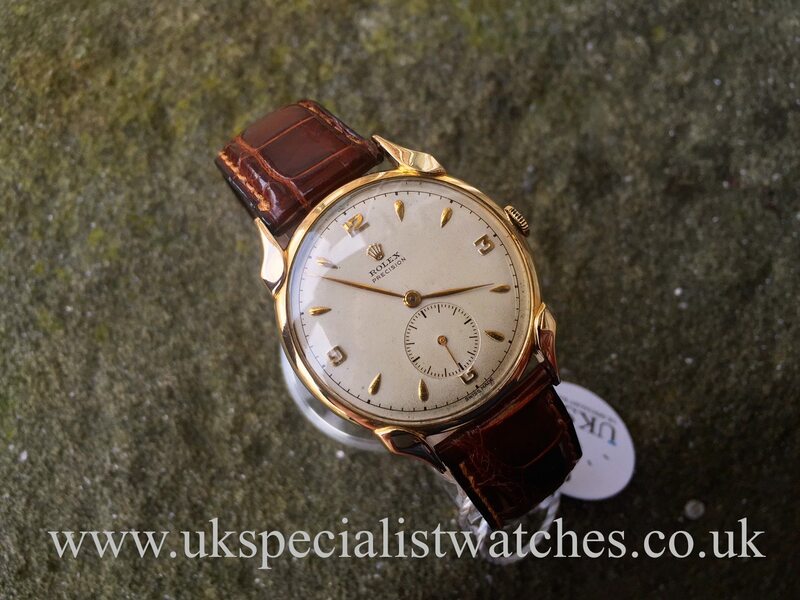 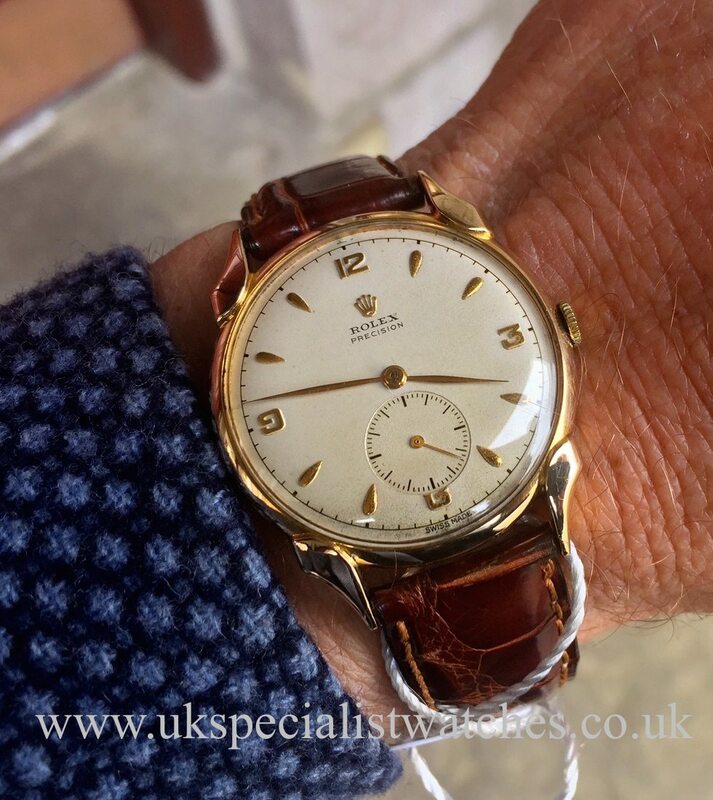 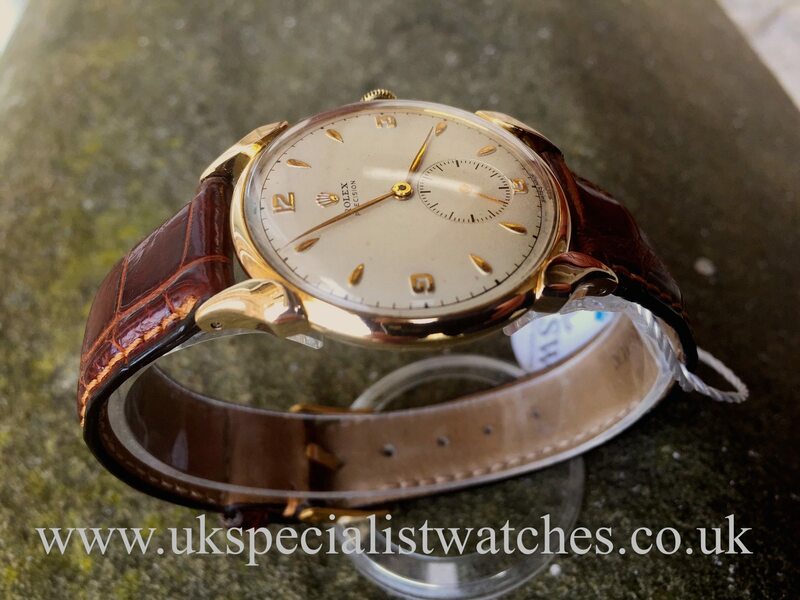 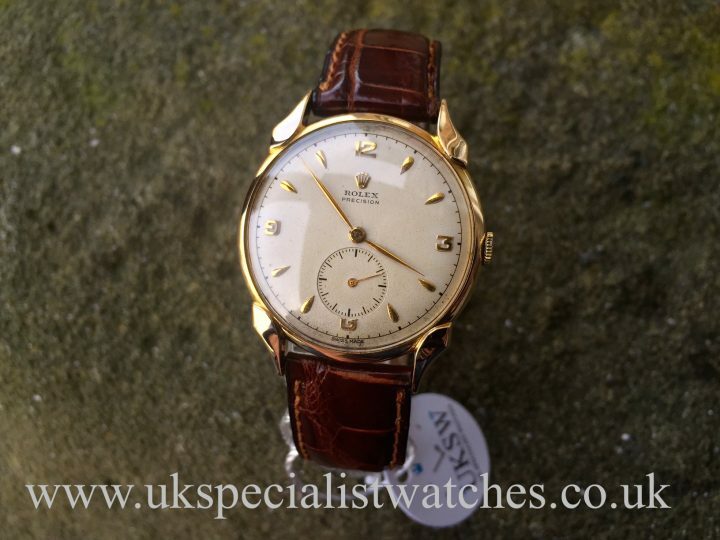 Here we have a wonderful piece of Rolex history The Rolex Precision with rare shaped “fancy lugs”. 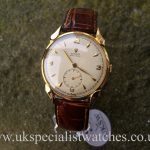 We are all very aware that collectors are often seeking vintage Rolex sports models when there are much rarer pieces such as this Rolex 4636 with these unique Rolex sculpted lugs are becoming extremely hard to find. 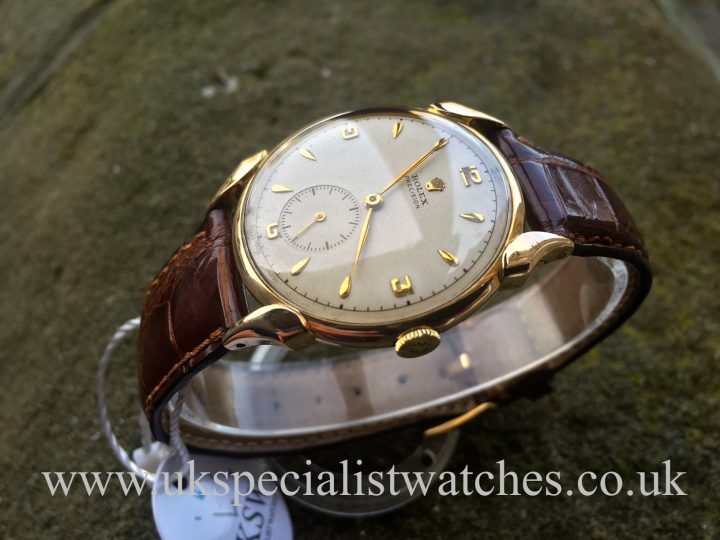 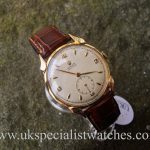 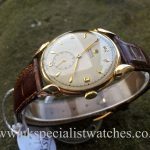 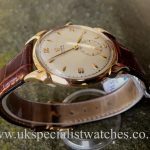 Our immaculate example has a slightly larger 34mm 9ct yellow gold case with a beautiful creamy dial, gold teardrop hour markers with 3,6,9,12 gold Arabic numerals and small seconds at 6 o’clock. 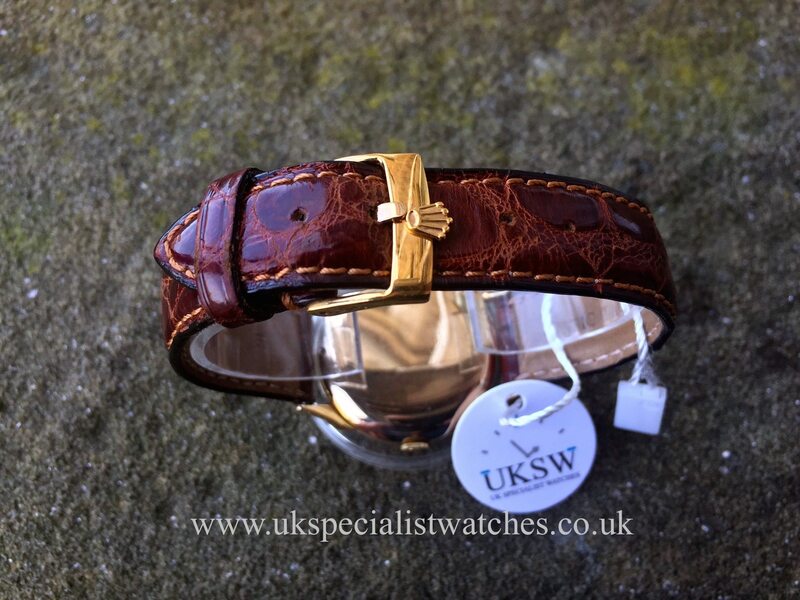 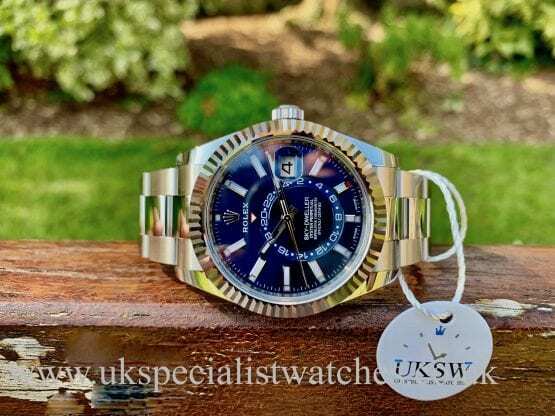 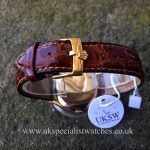 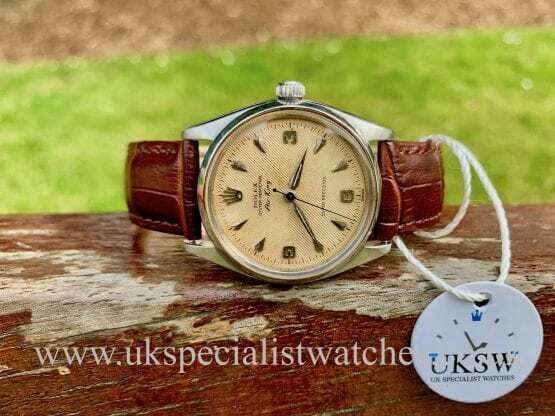 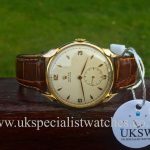 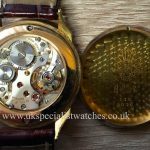 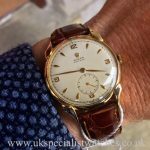 Fitted with a croc strap and Rolex coronet pin-buckle The watch manufactured in 1949 and bares the seial number (5381– ) and houses a manually wound 17 jewel Rolex precision movement thats keeping excellent time!